#TREB released September data. There were 6,455 transactions with average selling price of $796,786 representing increases of 1.9% in number of sales and 2.9% in price from Sep. 2017. Four months in a row (Jun. 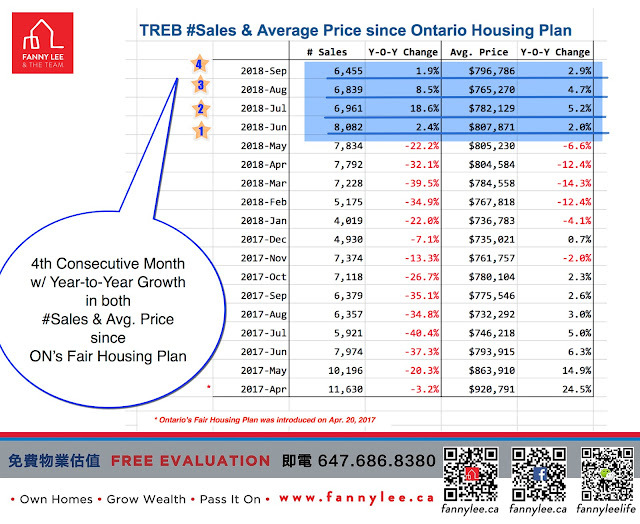 to Sep.), Market recorded growth in monthly sales and average selling price when compared to the same period in 2017. This could be an indicator that the market has absorbed the impact of Ontario's Fair Housing Plan and tougher mortgage rules. 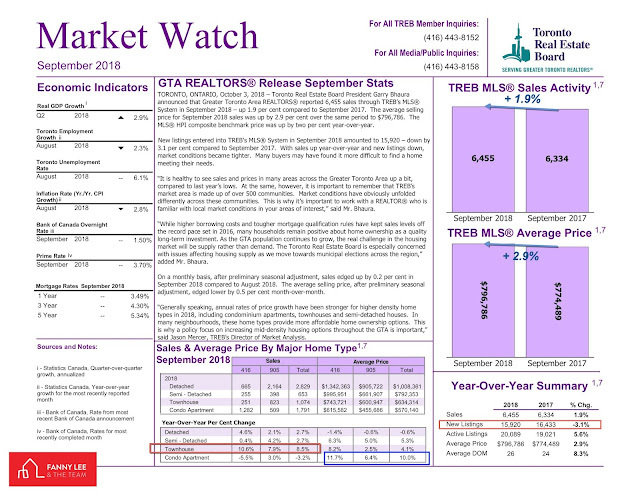 In September, the townhome segment was the engine of sale growth with year-to-year increase of 8.5% (+10.6% in 416 Area). Condo segment charged the price growth with a gain of 10% from last Sep. (+11.7% in 416 Area).